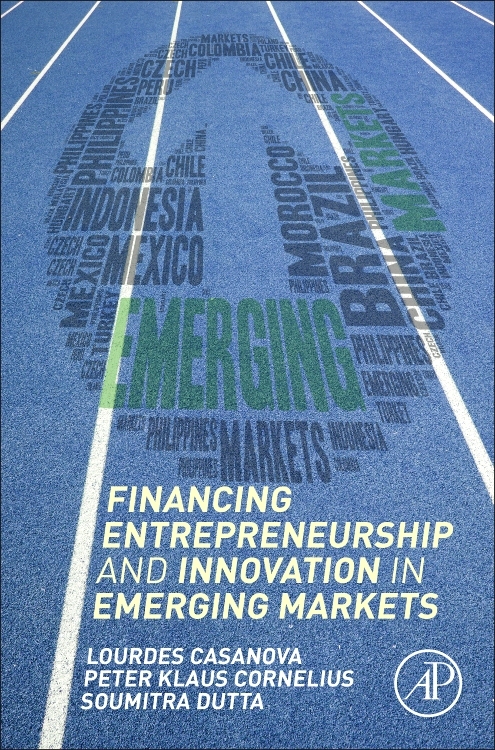 In our book, Financing Entrepreneurship and Innovation in Emerging Markets (Elsevier, 2018), we shed light on the role startups play in innovation and economic development in emerging economies. According to our research, access to finance is particularly critical, with innovation, economic growth and financial development found to be inextricably intertwined. Unless startups have sufficient tangible assets to pledge as collateral, bank loans are generally not available to them. Even if they have such assets, banks in emerging economies are often reluctant to lend in the absence of sufficient credit information and ill-defined legal rights pertaining to secure transactions. Not surprisingly, therefore, loan-to-GDP ratios in emerging economies generally fall far short of those in advanced economies, suggesting that a significant number of companies are underserved or even unserved by banks and must rely on their founders’ resources or those of friends and family. While startups in advanced economies face the same challenge, they are more likely to be able to tap into alternative funding pools, such as angel investing, venture capital and emerging forms of financing. As with their banking systems and organized financial markets, most emerging economies’ alternative funding pools have yet to achieve similar penetration levels to advanced economies. According to our research, microcredit has had a limited impact in alleviating credit constraints and fueling entrepreneurship, innovation and growth in emerging economies. However, digital finance and new developments in FinTech can help spur entrepreneurial activity and innovation not only by making existing forms of intermediation more efficient and less costly, thus enhancing the lending capacity of banks and microfinance institutions, but also by helping develop new forms of intermediation. Emerging markets are also seeing the rise of non-institutional forms of entrepreneurial finance, specifically angel investing, incubators, and crowd investing. Like VC, angel investing is increasingly a global phenomenon, with a growing number of angel groups forming in emerging economies. While business accelerators and incubators may provide only a small amount of funding to startups, the mentoring these programs provide can be critical for entrepreneurs. While emerging online platforms may have the ability to achieve a superior match between entrepreneurs and investors, we note that a number of important challenges remain before crowd investing can achieve the same scale as angel and VC investing. These challenges lie especially in informational asymmetries, inadequate due diligence, potential herding behavior, the lack of bespoke contractual arrangements and the absence of clearly defined exits for investments. While these non-institutional sources of funding are still embryonic, volumes are growing rapidly. In China, for instance, business crowd-lending totaled less than $1.5 billion in 2013. Two years later, the volume already exceeded $40 billion. To distill and illustrate lessons from emerging innovation leaders like China and India, we also studied Chinese and Indian digital economy leaders Tencent and Flipkart. As these companies form Google-like innovation ecosystems, they (and others like them) begin to cross borders and become global change-makers, accelerating innovation, job creation, and economic development at home and abroad. Both Tencent and Flipkart were initially backed by venture capital. Further, Tencent has today become a major provider of venture capital itself, backing a significant number of entrepreneurial firms that have emerged as unicorns – startups valued at $1 billion or more. We see a continued rise in the focus on innovation and entrepreneurship in emerging markets. This will require an increase in both the breadth of and depth of the channels of financing available for entrepreneurship and innovation. Lessons can be taken from developed markets, but emerging markets will have to create financing environments that are also tailored to their unique contexts.